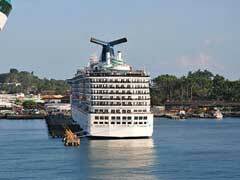 Most cruise lines that offer cruises to Costa Rica depart from Fort Lauderdale. Princess has a 10-day roundtrip, with stops in Aruba, Cartagena, Columbia, the Panama Canal, Colon, Panama and the Cayman Islands. Holland America offers various itineraries, including a 14-day excursion that goes through the Panama Canal and Celebrity offers 11-nights from Ft. Lauderdale with stops in Cartagena, Colon, Roatan and Cozumel as well. Ft. Lauderdale is also the departure point for cruises to Costa Rica from Cunard, who offer a Ft. Lauderdale to Los Angeles cruise. Cruises from Miami include the offering from Oceania, which is a 23-night cruise called Tropical Explorations that takes you on a trip of a lifetime and includes stops in Key West, Belize, Santo Tomas, Cozumel, Puerto Vallarta, Cabo San Lucas and offers cruising through the Florida Straits, the Caribbean Sea and the Pacific before docking in Los Angeles. Regent 7 Seas also offers cruises to Costa Rica from Miami which end in San Francisco, this 18 day jaunt takes you cruising through the Florida Straits, the Gulf of Panama, the Coast of Central America, the Coast of Baja and the Coast of California as well as stopping in ports of call including Key West, Acapulco and San Diego, among others. Costa Rica cruises allow you to take part in many interesting shore excursions, including the Crazy Monkey zip line, visits to the sloth rehabilitation center and an open-air gondola ride high above the Veragua Rainforest. The Rainforest is home to many species of reptiles, butterflies and birds, and to many researchers dedicated to uncovering new species. Puerto Limon Costa Rica also has many dive sites, snorkelling opportunities and of course beaches and water sports that make it a great stop on your Caribbean cruise. Cruises to Costa Rica are inspirational as well as educational and offer you a glimpse into the life of this Central American country all as part of an amazing cruise to this part of the world.